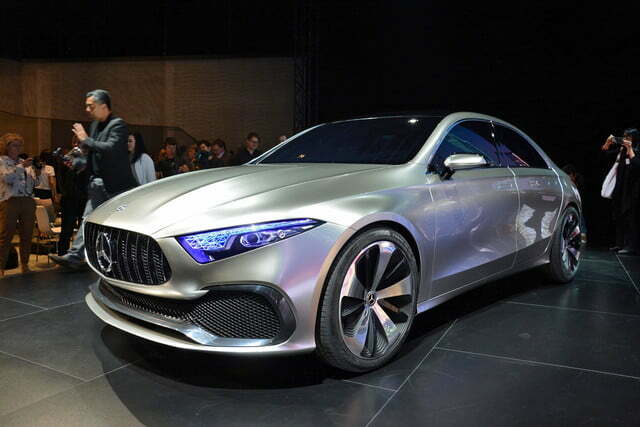 In 2012, Mercedes-Benz took a big dive into compact cars, launching several new models in one of the biggest-ever pushes by a luxury carmaker to move downmarket. 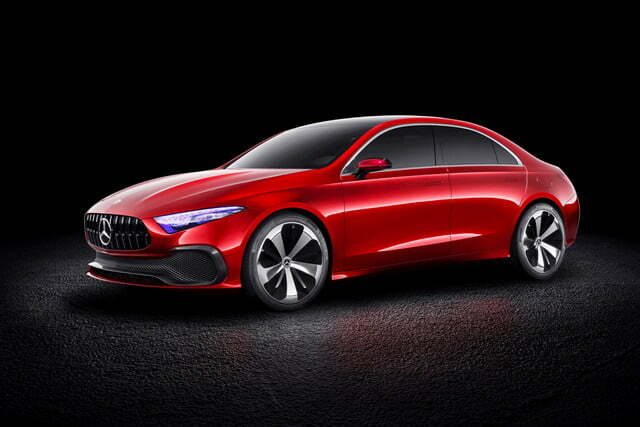 But with those models now long in the tooth, Mercedes is previewing its next generation of compacts with a concept car at the 2017 Shanghai Auto Show. 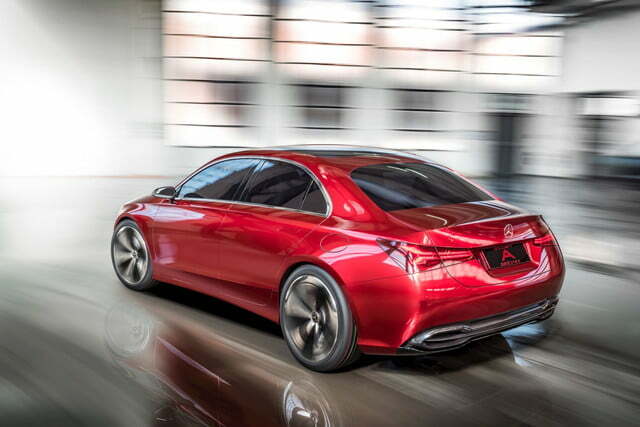 The Mercedes-Benz Concept A Sedan previews a new design language called “Aesthetics A” that will be applied across the automaker’s compact lineup in the coming years. 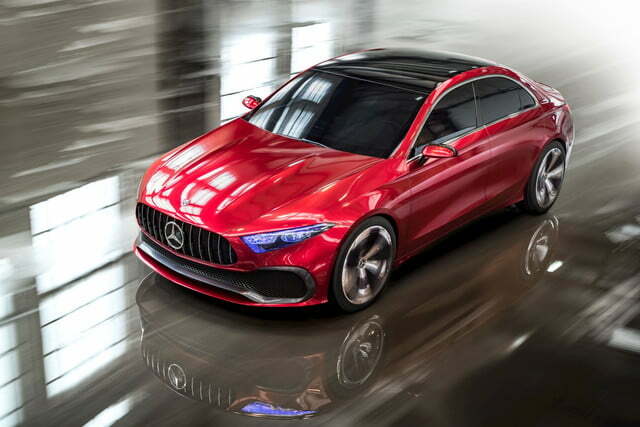 Mercedes says it’s sold more than two million compacts globally since 2012, encompassing the CLA-Class, CLA Shooting Brake, GLA-Class, A-Class, and B-Class. 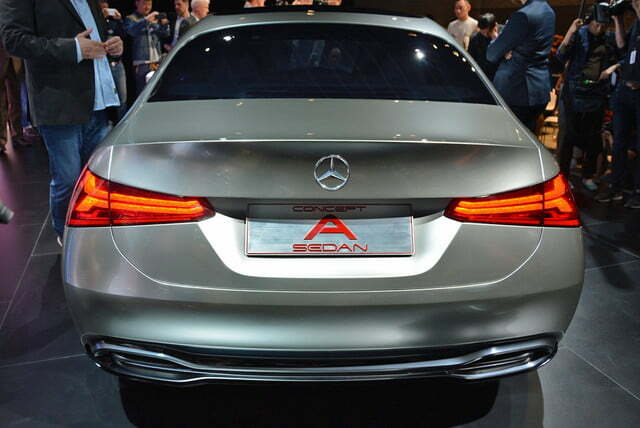 Only the CLA and the GLA are sold in the U.S., along with an electric version of the B-Class. 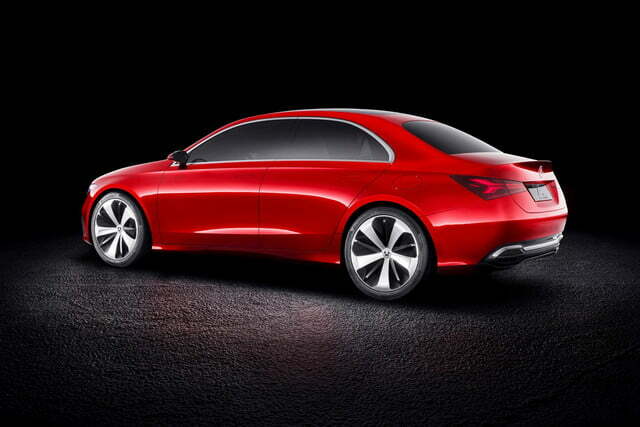 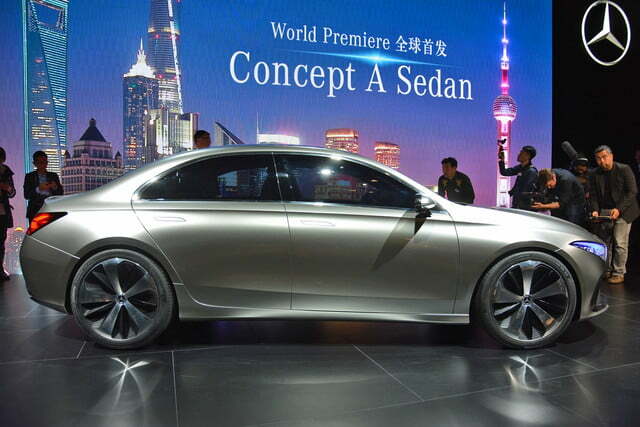 The concept itself takes the form of a “four-door coupe,” much like the current CLA-Class. 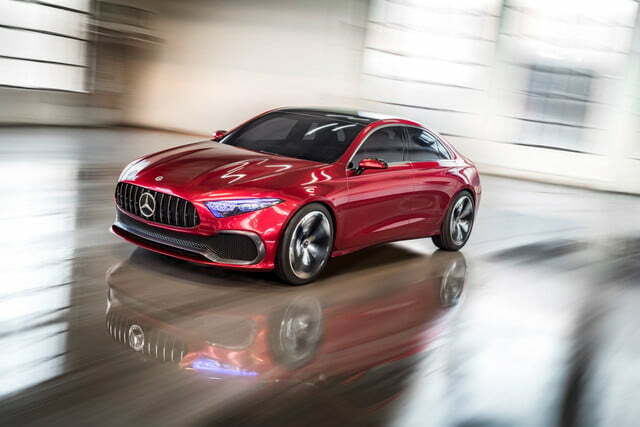 Mercedes invented this category, which combines a four-door sedan layout with the lower, sleeker roofline traditionally reserved for two-door coupes, and generally more expressive styling. 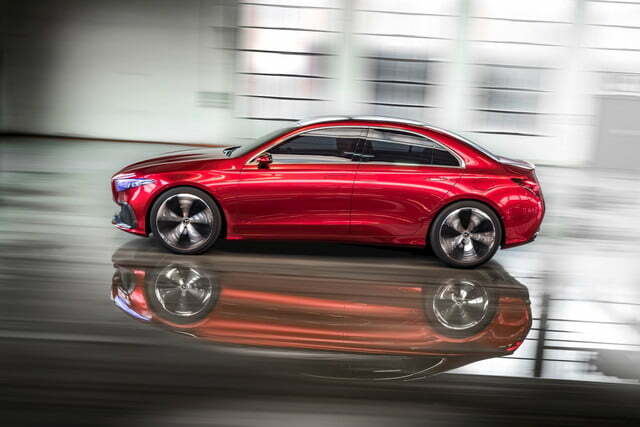 At 179.9 inches long, the Concept A Sedan is about the same size as the current CLA, but features a more upright roof that should give the interior an airier feel. 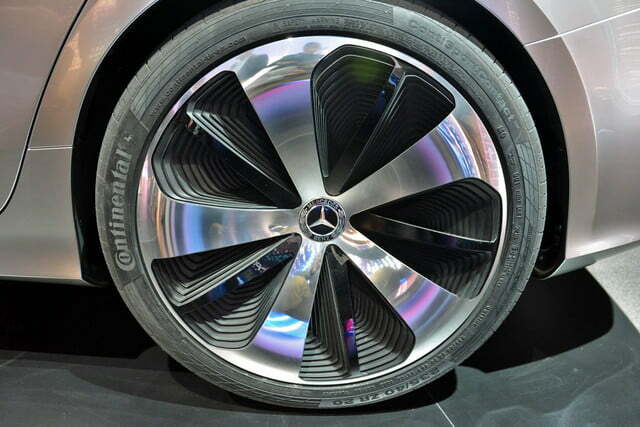 Remarkably, Mercedes was able to cram big 20-inch wheels into the wheel wells of this compact car. 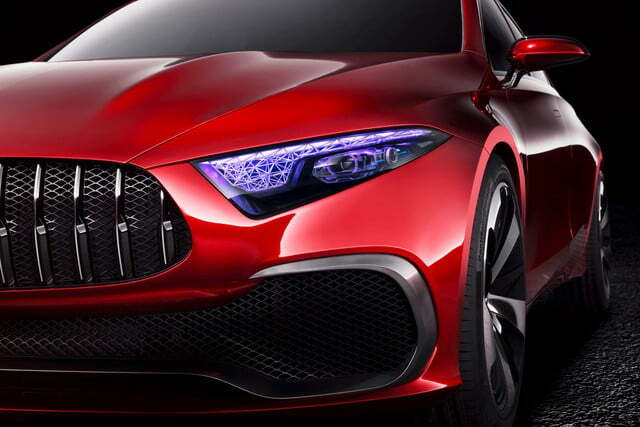 It also gave the concept the “Panamericana” grille seen on the Mercedes-AMG GT R sports car and its race car counterpart, the AMG GT3. 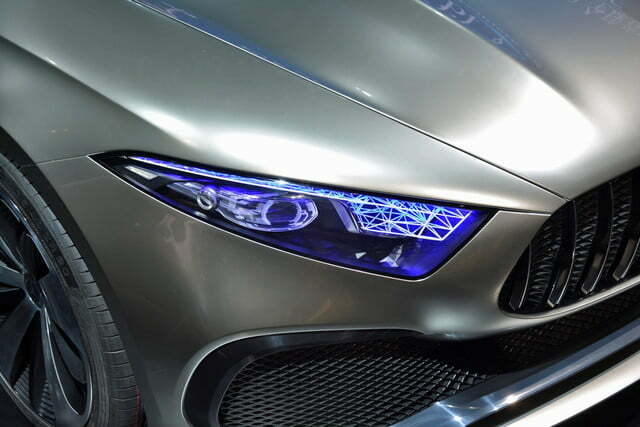 Another noteworthy touch is UV-reactive paint on the headlights, which makes the lights change colors under different lighting conditions. 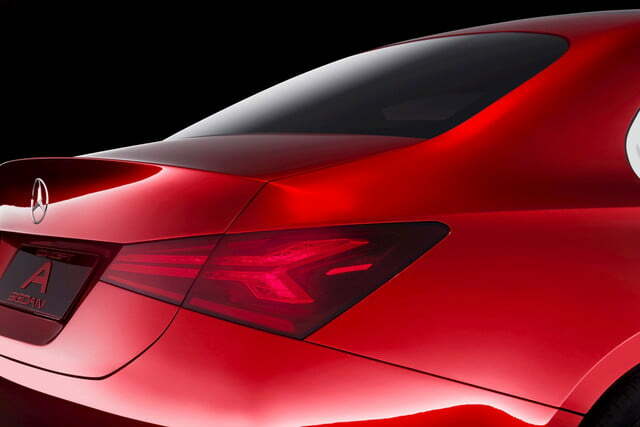 In a nod to aerodynamics, the door handles sit flush with the bodywork. 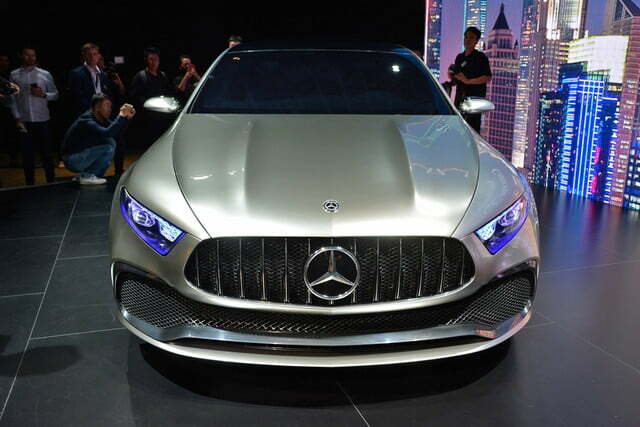 However, Mercedes did not follow the trend of replacing exterior mirrors with cameras, something carmakers are eager to do but that regulators are less eager to approve. 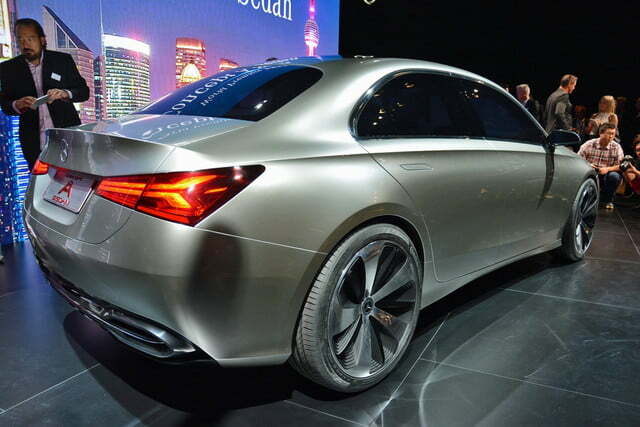 Mercedes did not provide any mechanical specifications for the Concept A Sedan, as it’s purely a design study that won’t go into production. 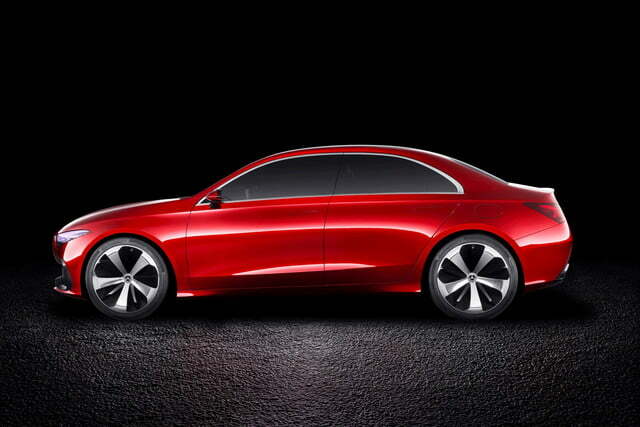 Expect some of its styling cues to wind up on the next generation of Mercedes compacts, though. 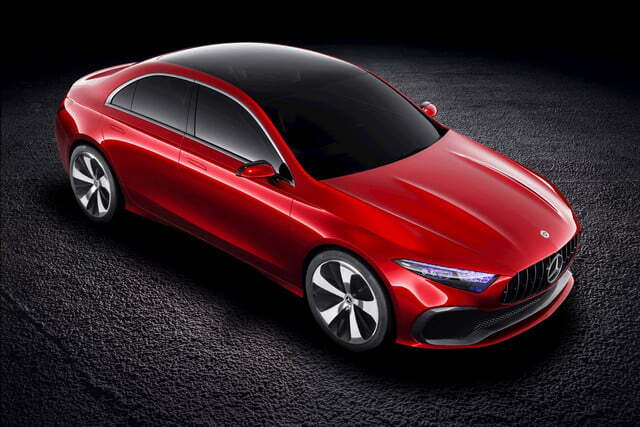 At the opposite end of the spectrum from the Concept A, Mercedes also used Shanghai to unveil an updated version of its largest sedan: the 2018 S-Class.